Australian floating solar innovator Sunengy has completed its first pilot plant in India on a hydropower storage dam owned by The Tata Power Co Ltd, India’s largest private utility. Sunengy is the first solar company in the world to propose and implement floating solar collectors designed specifically for large-scale use in hydro-electric dams and other still water bodies. The Liquid Solar Array (LSA) is the brainchild of Australian scientist and engineer Mr Phil Connor who is co-founder, executive director and CTO of Sunengy. ‘LSA has the potential to be the most rapidly deployable solar technology in the world’ Mr Connor said. ‘It’s unique and specific design as a hybrid for existing hydropower facilities can make the quantum leap towards higher use of renewable energy so desired by many. Hydropower produces nearly 17% of global electricity and is by far the largest generator of renewable energy, but is limited by available water resources. LSA adds solar as a secondary resource and taps directly into the underutilised transmission grids at hydropower storage dams, with the hydropower turbines providing full backup for the solar power. 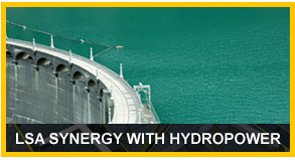 This gives tremendous potential to dramatically increase the energy generation capacity of many of the world’s hydro facilities without straining additional water resource, or occupying any land area. In fact it will allow for improved water resource management and better energy security’. It also avoids additional Right of Way issues for power evacuation. The load factor of existing power evacuation facility can be improved. The 90 prototypes installed are an evolution on design of units independently tested by CSIRO at its Energy Centre in Newcastle, Australia. Phil Connor is very pleased with the results given that from LSA’s original proof of concept to the pilot’s completion has been achieved from a budget of only AU$2,000,000. The Indian pilot prototypes also used a 0.92 m² Fresnel lens, with a low efficiency of 70%. The finished production unit will have a 1.2m² Fresnel lens with efficiency of over 80%, which will lead to an output of 230W per unit’. Sunengy co-founder, chairman and executive director of business development Mr Peter Wakeman said ‘Taking four LSA prototypes from a test pool at a CSIRO facility (the Australian federal government’s premier research organisation) to installing ninety units in a hydro-electric dam in India was a big step but we are very pleased with the outcome. Tata Power has been a supportive partner during this development process and has also designed and erected the power evacuation. We are very pleased to have delivered significantly more advanced technology than originally anticipated by Tata Power’. The rapid fall in the cost of traditional flat plat PV modules over the past three years has made it increasingly difficult for concentrated PV technologies to remain viable. Sunengy has developed a second floating solar design that incorporates traditional modules and the innovation is captured within their current patent. Connor said ‘Concentrators need bright sunlight to be economically viable and there are plenty of regions in the world that enjoy good solar resources. However, many heavily populated regions do not have as good an air quality or are in more cloudy regions. Our LSA “PV” design will suit these areas very well and we can leverage the low cost of PV modules, with our unique patented tracking technology’. 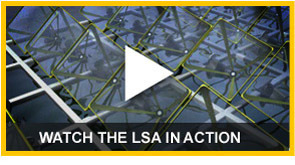 More information on LSA “PV” will be made available soon. Current LSA “CPV” and “PV” prototypes now need to go through production engineering phases to be released as mass producible products. LSA “PV” will require AU$1,200,000 and nine months to be ready for market release and LSA “CPV” will require AU$2,400,000 and eighteen months to achieve the same. Sunengy’s business plan is to get the “PV” product into the market first given the lesser capital and timeline; then move into final development of the “CPV” product.